Operating Business Applications: Operating Business applications aim at the support of core business activities in medium and large enterprises. This product category is distinguished for its simplicity and functionality. Operating Business Applications are based on web technologies so that they can run on Internet/Intranet environments, in one or more associate companies. BizSmart™ can help the organization that needs to streamline its business processes and succeed true workflow automation by putting together: the flow of tasks and operations under a set of business rules, the people who are responsible for certain tasks, and the applications that are used in order to complete a task. BizSmart™ is an industry leading suite of business process management. BizSmart™ is a workflow management system used for workflow automation and business process modelling. It can be best described as a bpm software. iBiz is a solid performance management software, based on the worldwide appreciated methodology of Balanced Scorecards. Through goal setting, iBiz measures performance, either on company level, or on department / employee / process level. iBiz helps organizations plan and implement their strategy, communicate their vision and commit people to objectives. In a rapidly changing marketplace, BizChart enables businesses not only to graphically represent their existing organizational structure, but also to dynamically administer organizational data throughout the organization, supporting critical business decision making, as well as managerial cohesion. eSEP helps organizations streamline their recruitment process, shorten employee hiring cycles and manage vacancies effectively, quickly and easily. eSEP abides by the legislative provisions of ΑΣΕΠ (the Hellenic Supreme Court for Human Resources Recruitment). Intra Business Applications: Intra Business applications provide small and medium enterprises with an easy to use range of technology solutions. Simplicity and functionality are the basic characteristics of this product category. Intra Business Applications are based on web technologies so that they can run on Internet/Intranet environments, in one or more associate companies. InfoPort™ enables information to be freely disseminated throughout an organization. InfoPort™ facilitates greater degrees of communication and collaboration among the organization’s employees, suppliers, customers and other business partners. InfoPort™ promotes the development of virtual teamwork. InfoPort™ users are provided with different access rights so that misuse of confidential information addressed to specific workgroups is avoided. ChronoPort™ provides simple and quick insight into time spent on core business activities. It enables reporting per project, per project type, per employee, per department, etc. ChronoPort™ helps businesses get organized and make better use of their time. Microsoft Server Products: Access to Microsoft server products and tools lead your business ability to success; they increase IT effectiveness in the critical areas of Operating Systems, IT management, Application Platform technologies, Security, Business Productivity, Virtualization. 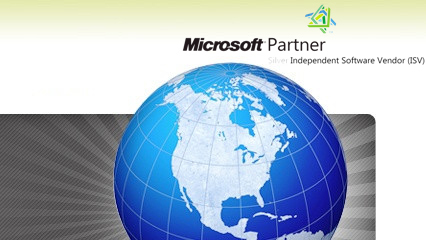 Innovis S.A., being a Microsoft Certified Partner (Silver Independent Software Vendor - ISV), can bring you unique suggestions of Microsoft server products that boost your company's performance and productivity.